This river bow is a unique natural wonder, solely created by the power of water. Over millions of years the river Saar has dug itself deep into the bedrock and thereby created a phantastic nature experience for visitors. The very likely best-known landmark of the region can be explored by bike, hiking or on a boat. 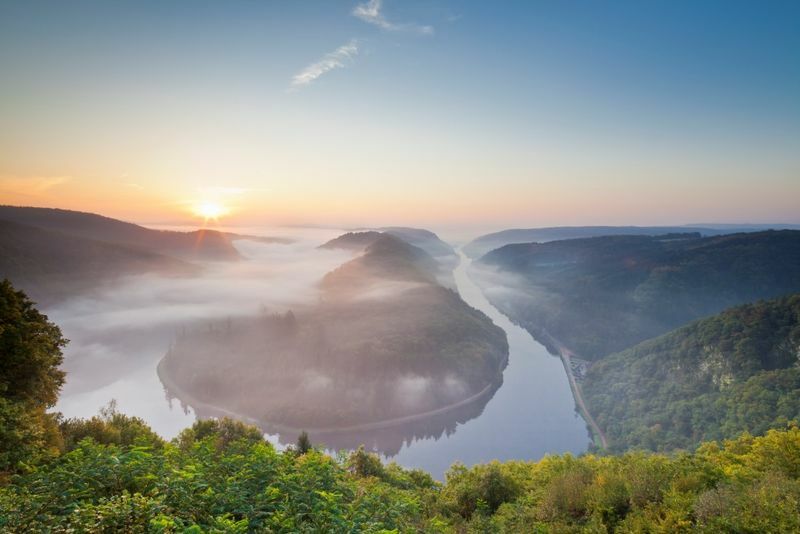 For the most breathtaking view on the Saar Bow, go up to the “Cloef“ viewpoint in Orscholz.